This lab blinked in surprise when I took his photo. As you see, he's got his bowl of water whilst his owners partake of morning coffee and croissants. 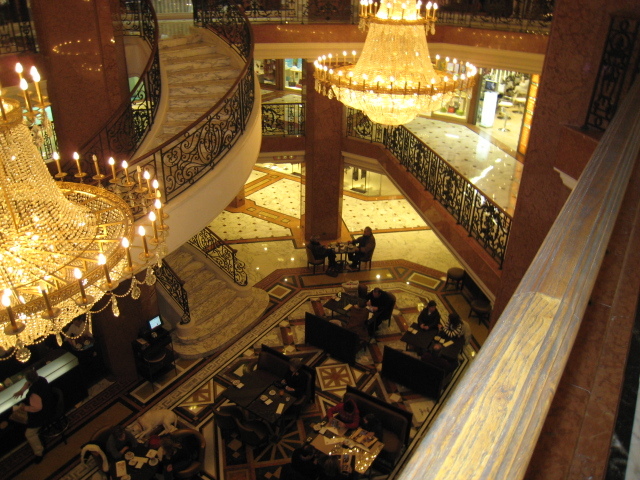 This was taken in the luxurious Metropole Centre in Monte Carlo and if you look carefully at the following photograph you can see our hero, asleep on the floor. 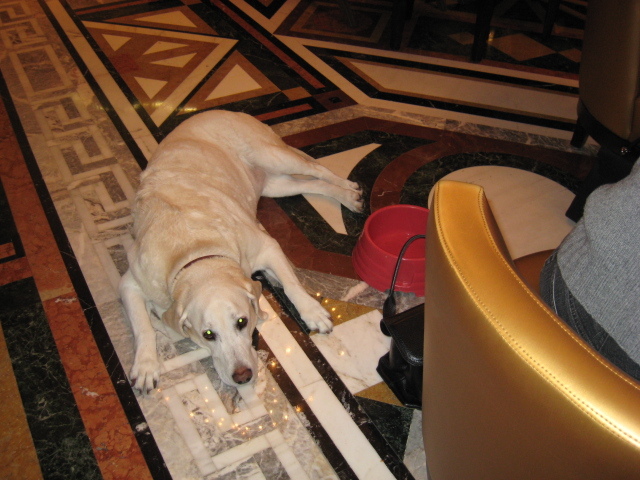 labs and golden retrievers - two of my favorites - love your dog blog! !